Psychological assessment is an integral aspect of the work of a psychologist, and a strength of the team of psychologists at Family Success Consortium. Unlike many other mental health professionals, psychologists have extensive training in the delivery and interpretation of psychological tests and are equipped to use the results of testing to develop recommendations for future treatment. There are different types of psychological tests, including achievement, intellectual, neuropsychological, and personality tests, and the test, or combination of tests used, depends upon the individual’s presenting concern. Each assessment session at FSC includes a clinical interview, where we gather pertinent background information, a testing session, and a feedback session, where we review the results of the assessment and recommendations for future treatment with you. The assessment results are summarized in a written report, which will be made available to you and any other treatment providers you deem appropriate. Among children, common presenting problems that result in a referral for testing are Attention Deficit/Hyperactivity Disorder and Learning Disabilities, including Reading Dyslexic Disorder. In addition, testing for rarer neuropsychological deficits such as Asperger’s, Postconcussive Syndrome, and Seizure Disorder Sequelae is available. personality testing, and other diagnostic testing aimed at identifying appropriate mental health diagnoses & associated treatment. Among older adults, common presenting problems that result in a referral for testing are memory decline, Alzheimer’s and other forms of dementia, and motor difficulties. Below is a more detailed description of the psychological assessment services we offer and the specific testing instruments available. The type of client typically referred for this type of testing is a child or young adult who is displaying difficulty in school or work. Understanding the underlying cause of these difficulties is tricky due to the vastness and complexity of the brain-behavior interaction. However, achievement, aptitude, and intellectual functioning testing can help accelerate understanding of these difficulties and delineate a path of action for the child, the parents, and teachers. In fact, sometimes the single most helpful event in a child or young adult’s academic life is the accurate understanding of the underlying causes of their learning difficulties. For example, a “lazy child” can be better understood as an intellectually gifted child who is bored. A “slow learner” can be better understood as a bright child with a focal learning disability in reading, math, or written expression. A child who “doesn’t like reading” can be better understood as dyslexic. A child with “Attention Deficit Disorder” can be better understood as a child who is anxious that their parents are going to divorce. Where indicated, achievement and intellectual functioning testing is supplemented by other forms of diagnostic testing (i.e. personality testing) to rule-out other emotional or psychological issues that are impacting a child or young adults’ ability to learn and achieve. In summary, these types of testing help clarify complex and often misunderstood situations, and help direct appropriate psychological and school interventions. The type of client typically referred for this type of testing is a child or adult who has a neurodevelopmental disorder (i.e. autism spectrum disorders, speech and language disorders, cerebral palsy) or who has a history of multiple concussions, traumatic brain injury, stroke, seizure disorder, or other “events” which have changed their base developmental patterns. Individuals exhibiting signs of Alzheimer’s or other forms of dementia are also appropriate candidates for neuropsychological testing. Understanding differences in level of functioning between pre- and post- “event” can be critical to accurately diagnosing the patient, indicating prognosis, developing treatment options, including family involvement, and overall, facilitating the best outcome for the patient. Although there are cases in which an individual would be directly referred for personality testing, personality testing is typically recommended as part of ongoing individual, couples, or family therapy to help facilitate a diagnosis and highlight personality traits that may help or hinder a client in therapy. For example, personality testing can help clarify a diagnosis of Bipolar Disorder versus Depression with Psychotic Features, or could help couples understand ways that their personality dynamics interact with the other’s to create cohesion and conflict. In addition, personality testing can be helpful in identifying occupational interests and career counseling more broadly. There are two basic types of personality tests; objective tests, which are typically self-report measures of symptomatology; and projective tests, which use more covert ways of assessing personality, the most popular of which is the Rorschach Inkblot Test. Many personality assessments have both a child and adult version of the test to ensure the test is measuring age-appropriate personality traits. Schools are required to evaluate children who are not progressing academically, the results of which lead to the development of an IEP. An IEP allocates school resources to a child and measures how effective those applied resources are in helping a child’s academic or behavioral progress. Unfortunately, these evaluations are often significantly delayed, which can result in a three, six, or even twelve month delay in implementation. To avoid this delay, many parents opt for a private evaluation so that their children are not “losing” six months or a year of their educational life. While we receive referrals from schools, pediatricians, and Children’s Hospital (CCDD) who are backlogged with these evaluation questions, we also handle direct referrals from interested parents. The College Board administers the ACT and SAT. There are specific requirements and tests necessary to document need for extended time accommodation. A parent/student has an identified problem with academic/test processes and Psychological testing documents and describes the problem. A report summarizing test results, diagnosis and recommendations is provided. The parent/student forward this report to the College Board where they review and make a determination of exact accommodations available for the ACT/SAT. A similar process is available for GRE, LSAT, MCAT and other graduate/professional exams. At times, parents have exhausted local educational options or have otherwise determined their child will prosper in a boarding school placement. Current intellectual, achievement, and/or psychological testing are required by most boarding schools. 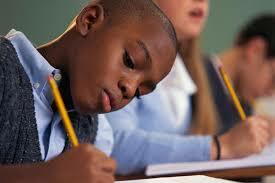 This private testing helps identify a child’s strengths and weaknesses for best academic planning. Likewise, therapeutic boarding schools will require current academic and emotional evaluation for placement and planning determinations. Family Success Consortium offer other forms of diagnostic testing aimed at specific referral questions. These may include shorter questionnaires, such as the Beck Depression Inventory (BDI), which specifically measures the progression of depressive symptoms over time, or the Vineland Adaptive Behavior Scales, which measure deficits in adaptive functioning across a range of ages. Click here to read more about Testing Instruments.